Girl Talk | Do You Hear The Music? He was our surprise guest performer at the Life is Beautiful 2014 Lineup Party we held in June at Brooklyn Bowl and rocked a packed house for nearly two hours. In less than two weeks the mash-up maestro will bring the party to Downtown Las Vegas and take the stage for what will surely be a memorable set filled with confetti, balloons, streamers and a whole lot of sweaty dancing fanatics! 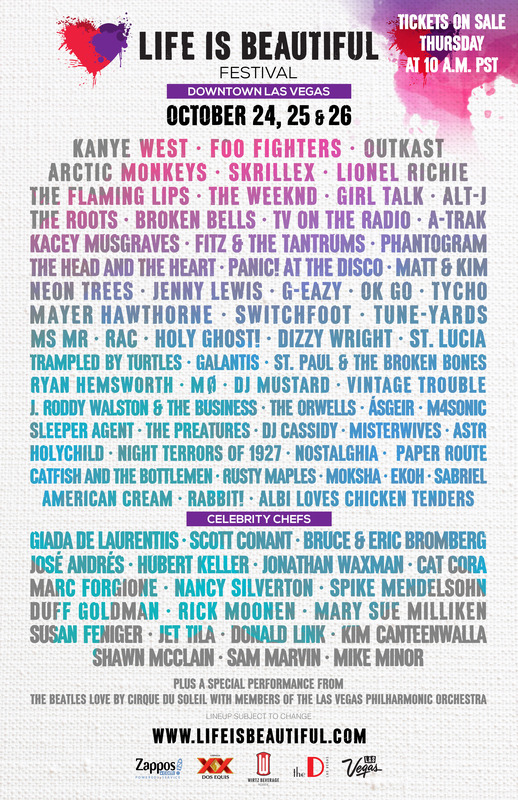 Girl Talk prior to The Weeknd and Kanye West, yes please!! To add a little bit more ammo to this celebration, Girl Talk will also be celebrating his birthday at the festival. P A R T Y ! ! ! 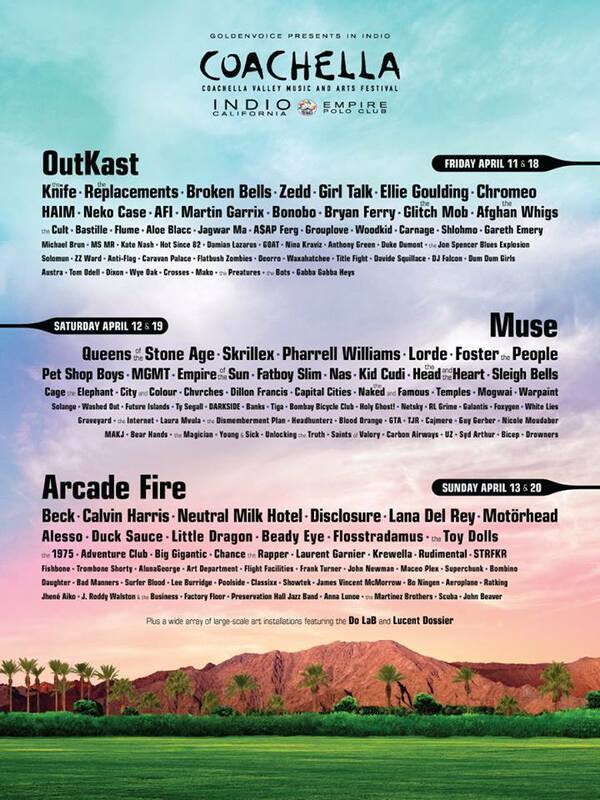 You’ve been waiting and now you have it, Life is Beautiful Single Day Lineups! 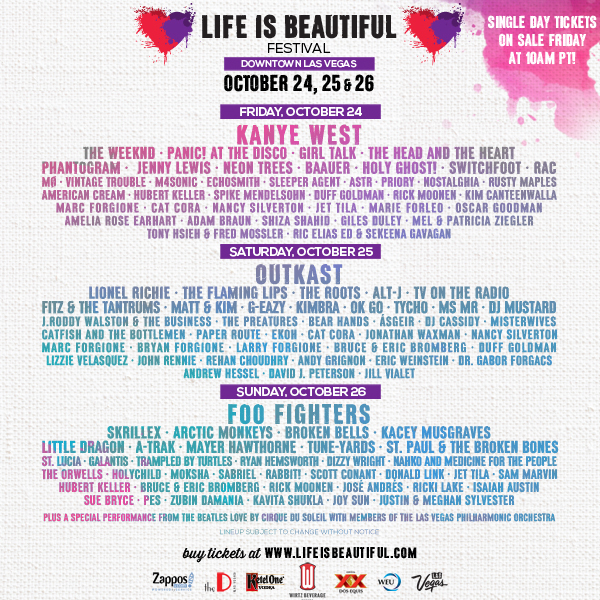 Single Day Tickets go on sale Friday at 10 a.m. Visit www.lifeisbeautiful.com to grab yours! Yes, you read correctly, S.S. Coachella, a “music festival at sea” featuring Pulp, Hot Chip, Yeasayer, Girl Talk and more will take place on the Celebrity Silhouette ship to the Bahamas December 16-19 and then to Jamaica December 19-23. Tickets/Cruising is $750 per couple and does not include tax, gratuities, alcohol, etc. 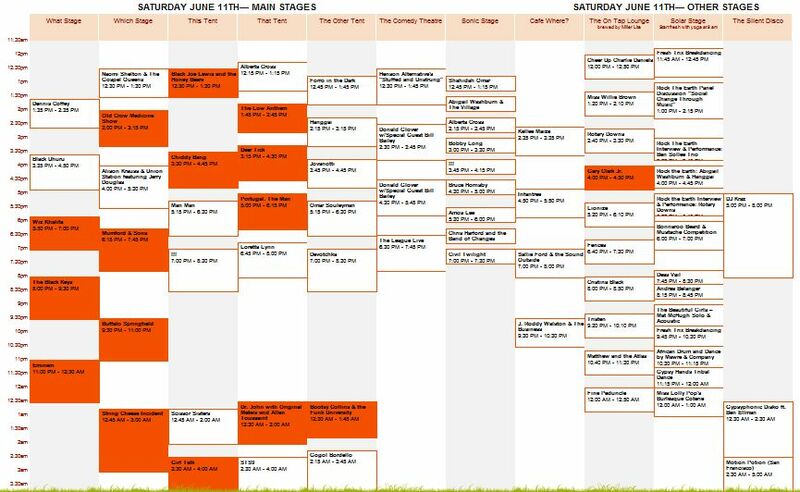 Lineup so far is: Pulp, Hot Chip, Yeasayer, Girl Talk, James Murphy (DJ Set), Sleigh Bells, Simian Mobile Disco, Z-Trip, !! !, Warpaint, DJ Harvey, El-P, Killer Mike, Black Lips, the Gaslamp Killer, Grimes, Cloud Nothings, Jason Bentley, the Rapture (DJ Set), Father John Misty, Tokimonsta, Alf Alpha. For more information, check out the original post from SPIN Magazine HERE. 10th anniversary of Bonnaroo is in the books and I’m ready to get tickets for next year. 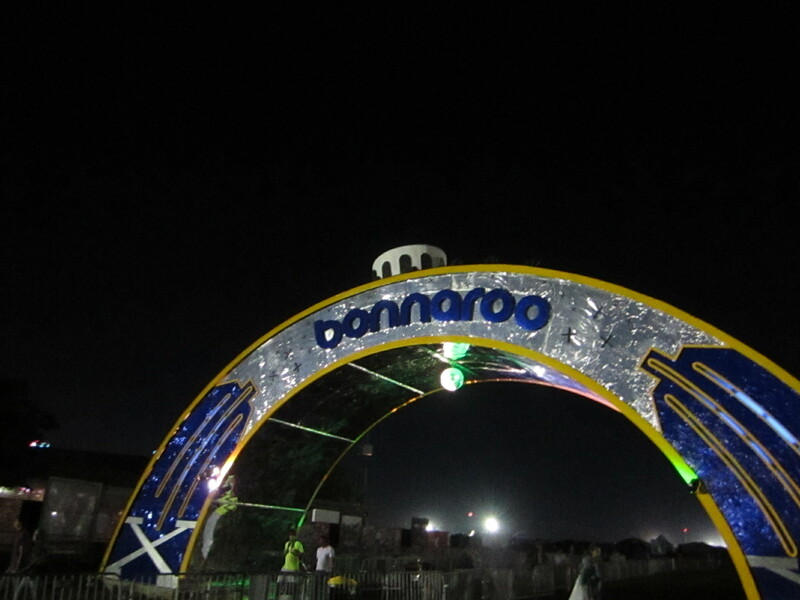 Being a Bonnaroo rookie, it was all about taking in as much of the experience as possible. After an afternoon waiting for everyone to fly in, rent the truck and an off the reservation experience at Walmart, we were on the road. Some 60 miles and one wrong turn later, we arrived. After finding the RV and unpacking enough food and booze to feed the entire stage crew for the festival, it was time to get the party started. Meandering through the festival grounds at night it was hard to capture just how big the Bonnaroo fields are and how over 100,000 people flow in and out. The first time you see it during the day, your jaw drops at the sight of an entire city being created in virtually the middle of nowhere. If that’s what it takes for people to get along, be polite and just have a good time, I can live with that. I also learned that no matter what bands you plan to see, you can go ahead and throw that plan out, it just isn’t going to happen and that’s a good thing. 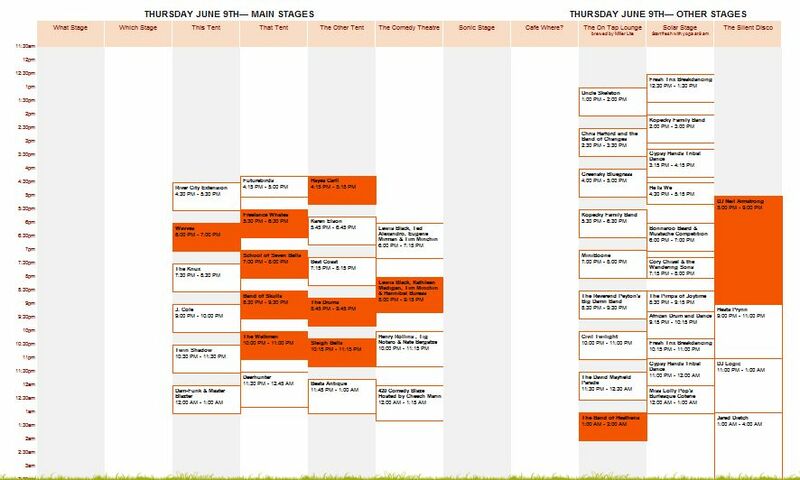 Getting a chance to pop in and out of shows, listening to some new bands (and some old), wandering around the festival grounds and just kind of going with the flow seemed to be just fine. Photos will be coming soon (I promise) but here are some of my highlights from Bonnaroo X. Top Sports Bar Moment: Game 6 of the NBA finals was like the March Madness scene in Vegas (video coming soon). 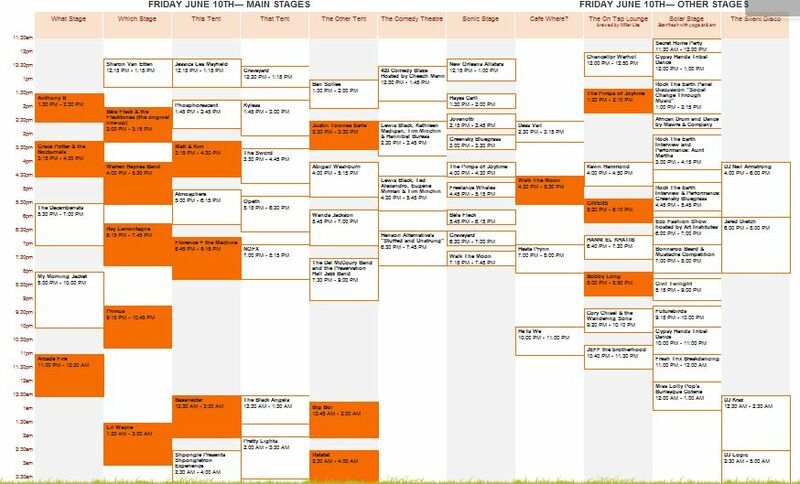 Two weeks from today Bonnaroo gets under way and what better artist to crank the party up but Girl Talk. Five albums of mashup and sampling bonanza later, Gregg Gillis is currently one of the most sought after DJs with each show filled with inflatables, toilet paper launchers, balloons and of course, music mayhem. I remember years ago reading an article about Gillis and learned how he was an engineer by day and DJ by night and without anyone at work knowing, would hop a plane (at times to Europe), play a couple parties and be back in the office Monday morning. Here’s an article from Pitchfork back in 2007 that may shed some light on the beginnings of Girl Talk. Besides liking the music, I thought his story was incredibly intriguing. 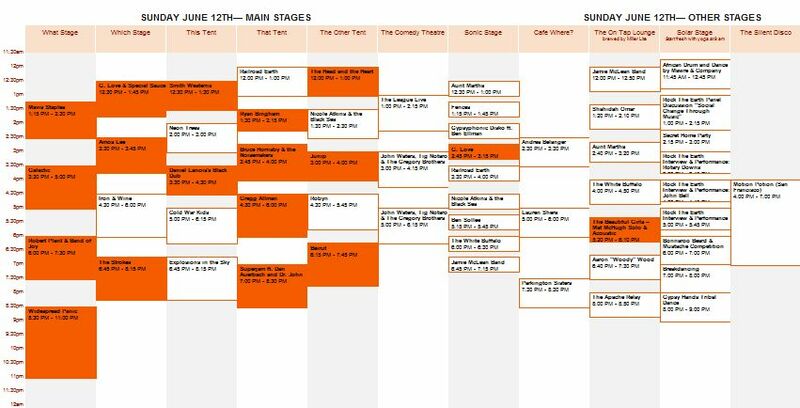 Sure to be one of the most anticipated late night sets of the festival, straight from String Cheese it will be to see Girl Talk.